To offer a high standard of personalized service ensuring the safety and security of your cottage property and peace of mind. 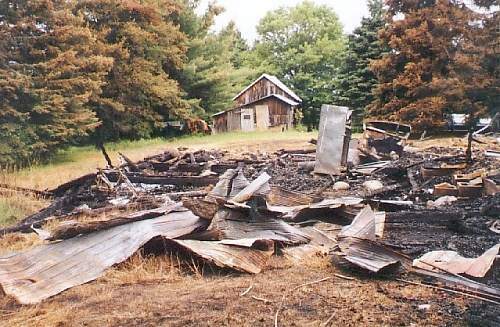 You plan a great weekend at the cottage with family and friends, to finally arrive and find that your cottage was a victim of a break and enter or that some strange animal has moved in. Maybe an old tree has fallen over & blocked your path to your weekend of rest and relaxation. and make your precious vacation time more reassuring. Often when we visit we see things that should be done and go ahead - without charge while we are there. Each and every visit, our professional team will conduct a thorough on-site check of your premises. In all probability the major benefit to you is the peace of mind in knowing your cottage property is being well cared for, and respected while you are away. property "check-up" during the owner's absence. Inquire with your insurer, then ask us how we can help. Many people do not realize that their cottage insurance may be compromised because no-one is looking out for their place when they are away. We highly recommend you contact your insurance company and inquire about this little known, but very important detail. 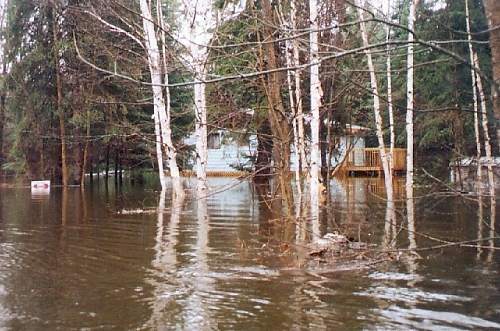 Storm Watch is our extra eye on your cottage after an extreme storm. 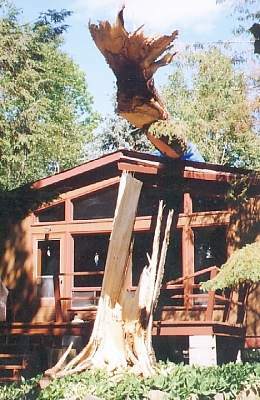 We will re-visit your cottage at no extra cost to see if there was any damage caused by mother nature. This is an exclusive service to our valued customers. Design Copyright © 2001 Baytides Management Inc.